The date has been set, the location has been chosen..! 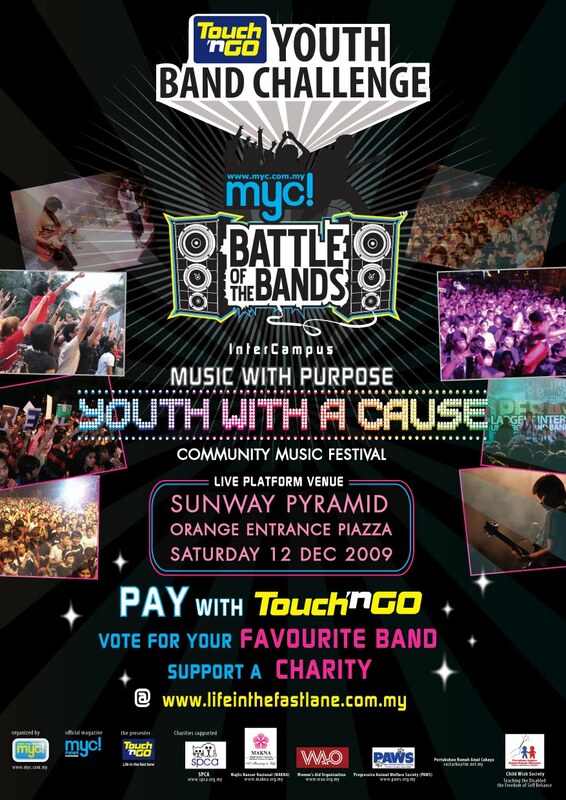 The Touch ‘n Go ‘Battle of the Bands 2009’ Grand Finale will be at Sunway Pyramid, Orange Entrance Piazza! 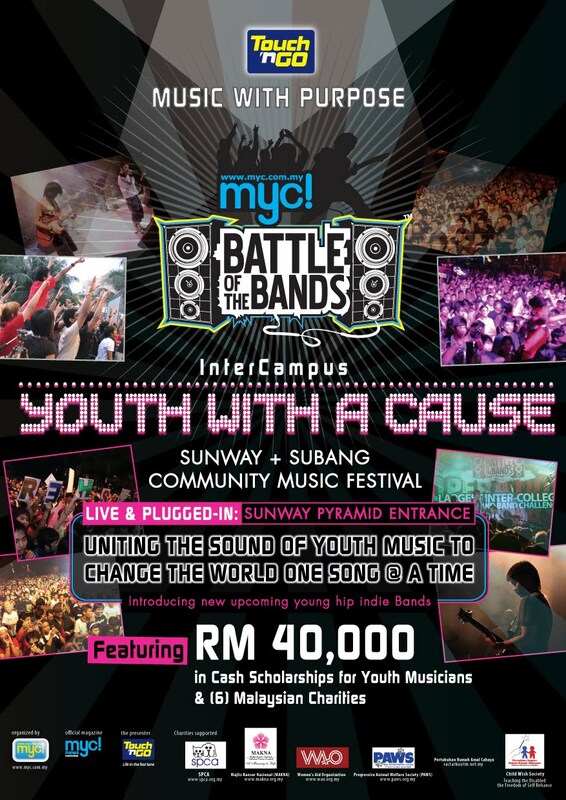 organized by MyC! For the previous press launch @ Euphoria Sunway, click HERE! 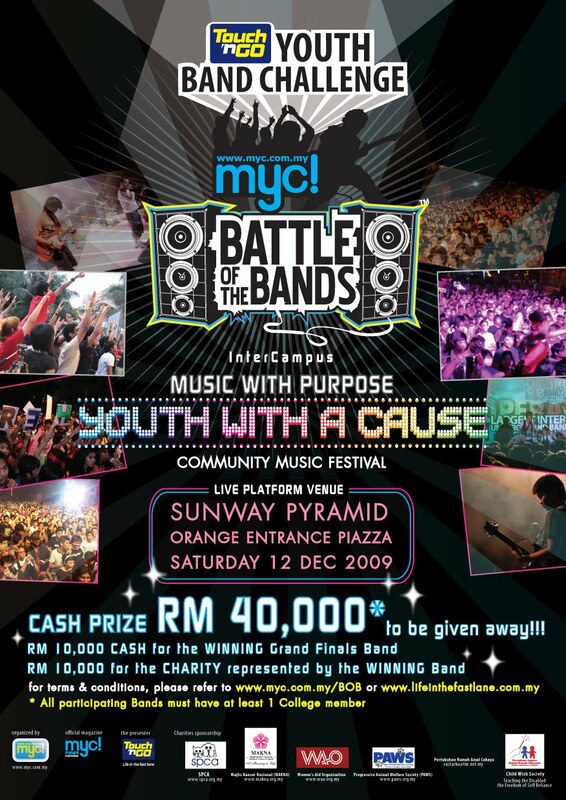 Come this 12 Dec 2009, invited celebrity bands will kick start the event with band performances as part of a community music festival. Featured in the festival will also be Touch ‘n Go merchants who will provide a fanfare community feel. So, mark your calendars, we’re gonna party from 3pm until late! Check up on roadshow dates & locations, details on how to participate, photos of past Battle of the Bands and many more! Just head to the Touch ‘N Go ‘Battle of the Bands 2009’ website.